Time to come clean: My name is Maureen, and I’m a nomophobiac. Please don’t judge! “Nomophobia”, the fear of having no mobile phone, is widespread. In fact, it’s estimated that 66% of us suffer from this addiction. Symptoms include obsessively checking the smartphone (at least once every 10 minutes), inability to power down, taking the device into the bathroom. The addict’s anxiety grows when separated from his/her phone. Maybe I’m not that bad; all I know is I don’t go anywhere without an extra battery and charger. 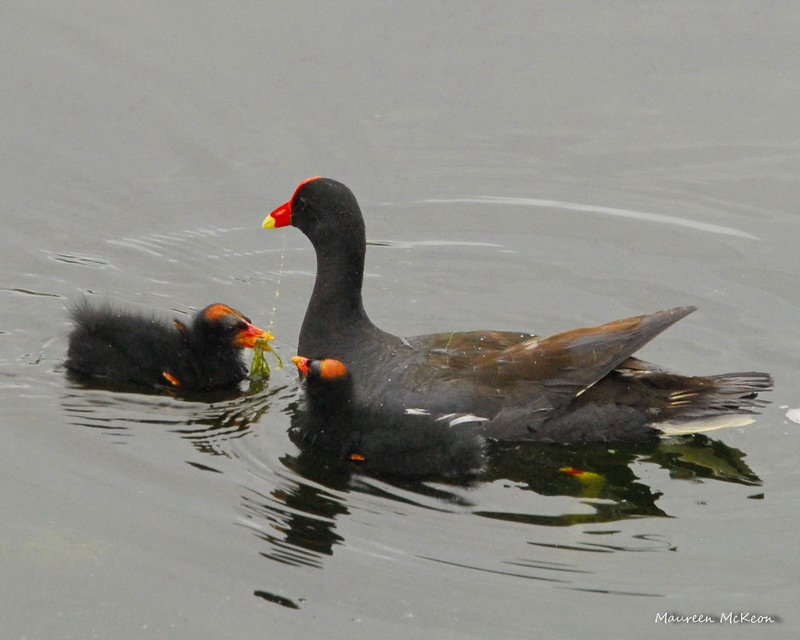 But a funny thing happens when I’m out in nature, watching birds…. I don’t even think about my phone. 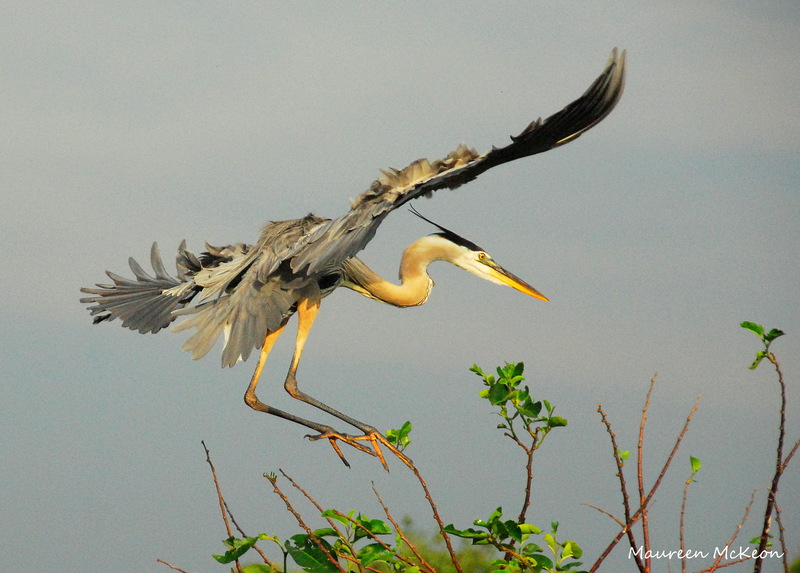 For those few hours at least, I’m totally captivated and engaged in what’s happening in that tree, in the air, in the marsh or Cypress swamp. Which is a good thing. 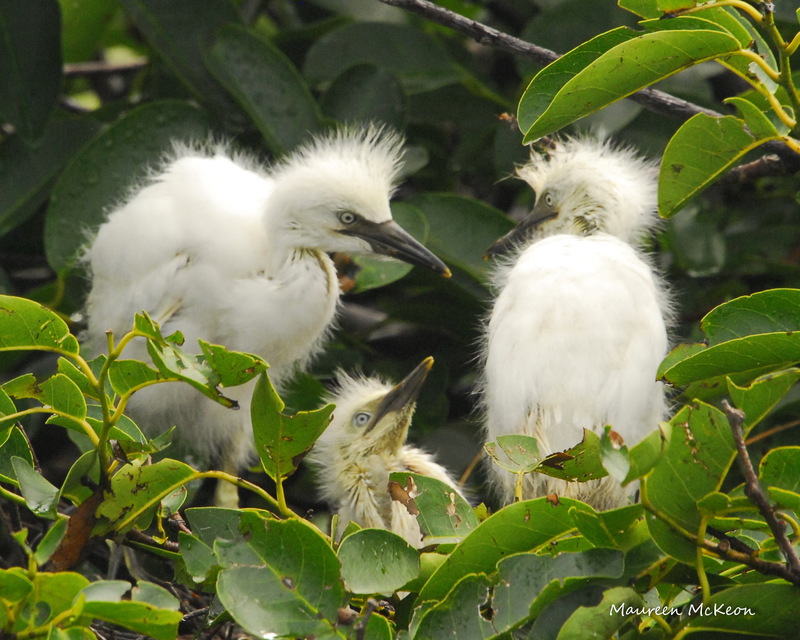 Trio of cattle egret chicks. I would have walked right past these adorable stilt chicks, tucking up under their mother’s wing. 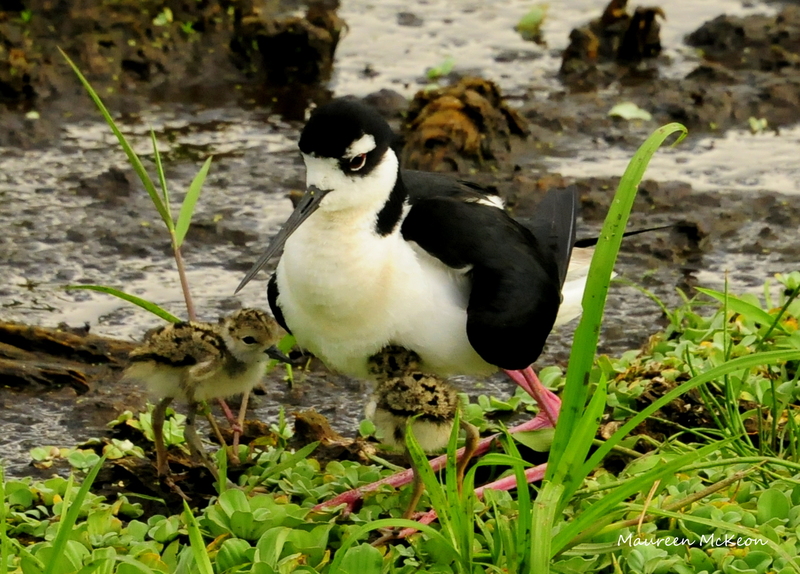 Black-necked Stilt chicks tuck under mother’s wing. 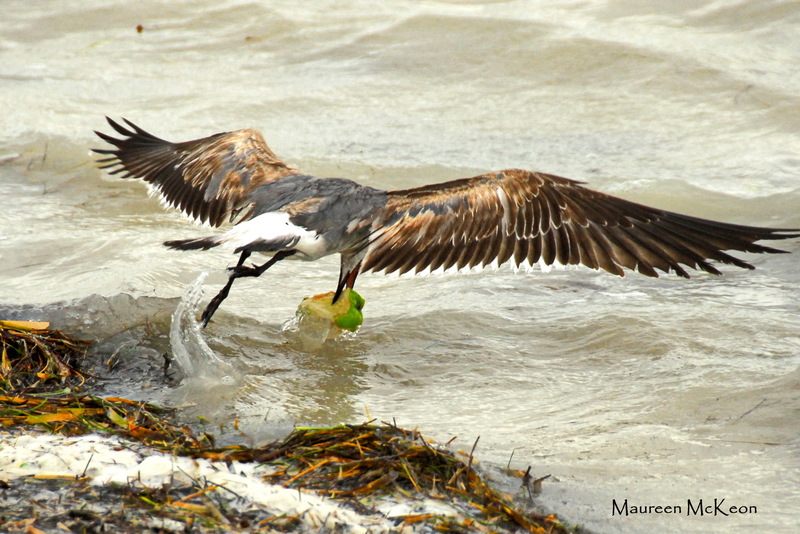 If I had been looking down at my phone, I might have missed this shorebird, swooping down to catch an apple. So this weekend, power down the devices, leave your phone locked in the car, and get out there! Life is happening right now! i’m so with that perspective. its unfortunate that a major part of society has given up eye to eye, fact to face interaction for a app. 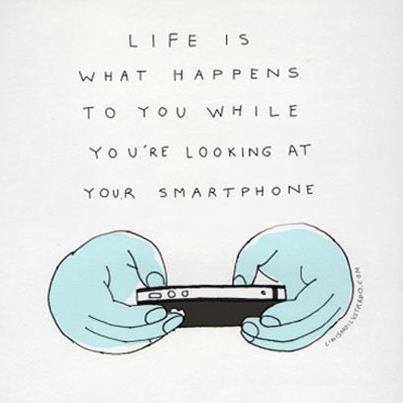 well there’s a silver lining in the ‘Life Is What Is Happening To You’ phenomena,…it just hasn’t shown up yet LOL. Great post,…thanks !